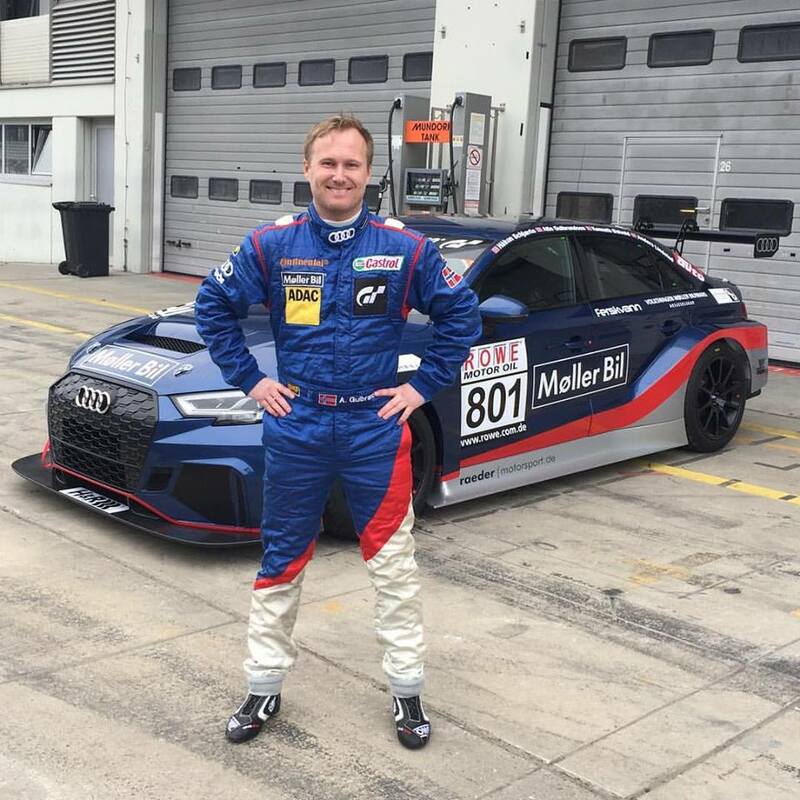 Just home from two days of testing with Møller Bil Motorsport’s new Audi RS 3 LMS at the Nürburgring Nordschleife. It was two interesting days, trying to learn the new car, the new tyres, the new brakes, the new steering wheel etc. etc. And the end result? Very, very good. The car is very good, everything worked as planned, and all of us drivers got to know the car better. As expected, the car is quite similar to the TT we had before, but there are also some differences. Especially the tyres and brakes. The TCR-class has a so-called “Balance of performance” (BOP). This means that the cars should be as equal as possible, and if a car suddenly seems to be faster (or slower) than the competition, the organizers can change the BOP to make the car competitive again. All the cars need to drive on the same tyres also, so in the end it will hopefully be up to the drivers, the mechanics and strategists to decide who wins or not. I love this concept, and I’m really looking forward to drive in an equal class after years with quite big differences between the cars and tyres in our earlier class. Our first race is already this weekend, and I can’t wait. We really don’t know what to expect since we know very little about our competition, but I have a good feeling.